Some odd things exchange hands at auction. 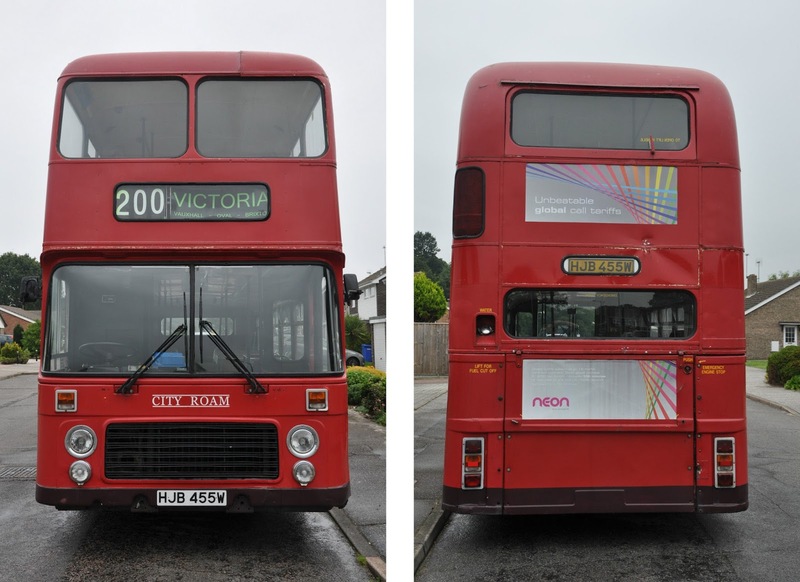 Back in 2010 when Bonhams held the massive Doctor Who sale, a couple of items in the catalogue were double decker buses as used in Planet Of The Dead. Strangely they were withdrawn from sale prior to the auction, only for broken down bits of one of them turned up on eBay at various times since. Selling them has proved tricky to say the least! So recently I was amused to see the other bus (which wasn’t damaged during filming) has been on eBay. Here we have a Bristol VR bus, but not just any old bus! This is the only surviving bus of three vehicles used to film the Easter Special "Planet of The Dead", the number 200 to Victoria. This particular bus was used in the opening driving sequences, and at the end when the bus comes back through the wormhole! The real registration of the bus is HJB 455W, however for filming purposes the bus was registered W974 GHM, the front number plate was still on the bus when I got it, and comes with it. This ticket machine is also included, but it is not connected. This is a genuine sale! The other two buses used where smashed up during filming and subsequently scrapped. This really is a very unique piece of Doctor Who memorabilia from the David Tennant era. Since I bought the bus off the BBC four years ago, I have only done what work has been needed, the adverts on the side are the originals seen in the film, I've even left the microphone tape on where the Doctor was sitting, and on the floor. I've been very careful to preserve as best I can the authentic Dr Who additions, such as the adverts. Mechanically, this bus is in very good condition, and has an MOT (Class V) expires 05/09/15, there are a couple of advisories, an oil leak on the steering box and some wear in the king pins. The body is a little time worn in places, but for a 34 year old bus that has never been restored, it's in pretty good shape! The last commercial operator was Hedingham in Essex, an operator that was known for their incredibly high maintenance standards. The lower deck floor has been replaced a few years ago and this is very solid, these are a notorious rot spot for VR's. The upholstery is smart and all the seat cushions match. There are a few spare cushions that are included that are not shown in the pictures. The time tables on the dashboard and behind the staircases are the genuine ones used in the filming. The bus has two new batteries on, and starts on the button, is taxed and MOT'd so is ready to drive away. The bus is a 75 seater, and has an Eastern Coachworks Body fitted to the Bristol Chassis. The bus is fitted with a Gardner six cylinder diesel engine with a semi automatic gearbox and power steering. Once you are used to the size, this is a very easy bus to drive. The bus will also come with a bag of clothes and some umbrellas that were on the top deck when I picked it up from Upper Boat Studios, Cardiff. I think these are clothes that the location crew and the extra's were wearing. Because the bus is over thirty years old it can be driven on a car licence under certain circumstances, the insurance and breakdown cover are not that much more than a classic car (About £400), so if you have the space, this could be an alternative to a large classic saloon! Or if you are a bus operator, this has huge earning potential! I will assist with export or UK delivery enquiries. Please, only serious buyers, I appreciate that this has a lot of curiosity/enthusiast interest but this is here to be sold. Please call or text on 07908 480291 if you have any queries. 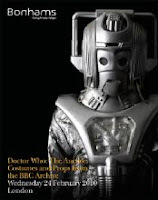 So there you have it, possibly the most usable bit of Dr Who membrobillia out there, to own it is certainly a talking point!